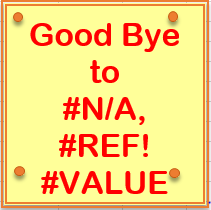 Time to say good bye to #N/A, #VALUE!, #REF!, #DIV/0!, #NUM!, #NAME?, or #NULL!. errors from your excel sheet. Time to learn a new awesome function IFERROR in excel. 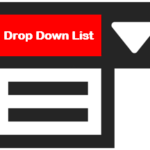 I am 100% sure that you will not take chance to send your next VLOOKUP excel sheet to your client without this formula. 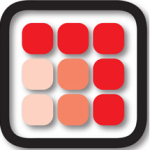 IFFERROR in excel was introduced after MS Excel 2003 release. 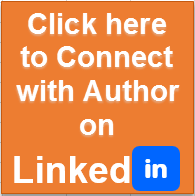 The idea behind this formula is to replace errors (such as #N/A, #VALUE! etc) with a logical text, which is informative. Such type of error makes a low quality of excel sheet. 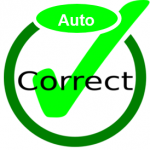 If you will use IFERROR in excel sheet then it will replace errors with a logical text and improves the quality in excel. It is easy to learn but requires some practice. What does IFERROR function do? This formula returns a value you specify if a formula throws to an error (such as #N/A, #REF); otherwise, returns the result of the formula. 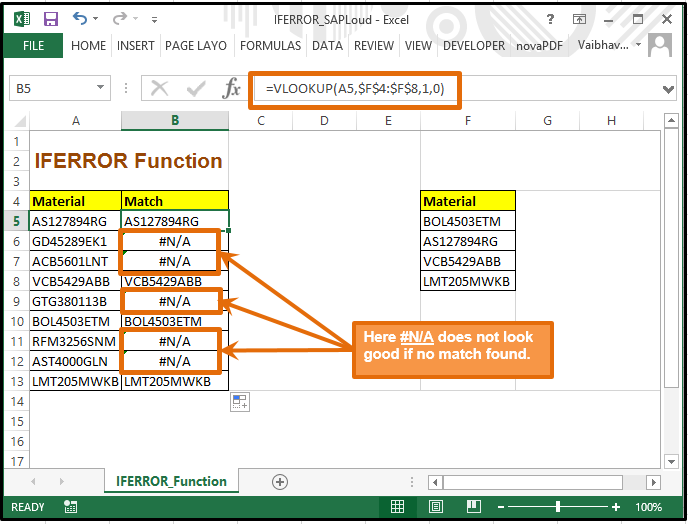 You can use the IFERROR function to catch and handle errors in a formula. So if you apply this formula anywhere in your sheet then that particular cell will either have a values or a logical text which explains the error. It will not have any garbage value. 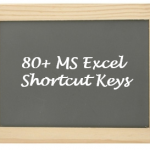 Related Article : This MS excel function can help you in Master Data cleansing. 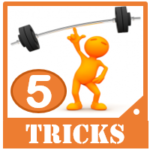 I am sure you will learn application of this formula in less than 5 minutes. Let us learn this formula step by step. Step 2: Now create an excel with some materials and put VLOOKUP formula in it. Please refer below screen shot and see what happens when no match is found in VLOOKUP. 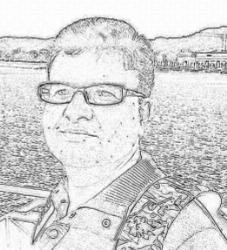 System will return a #N/A in the output. 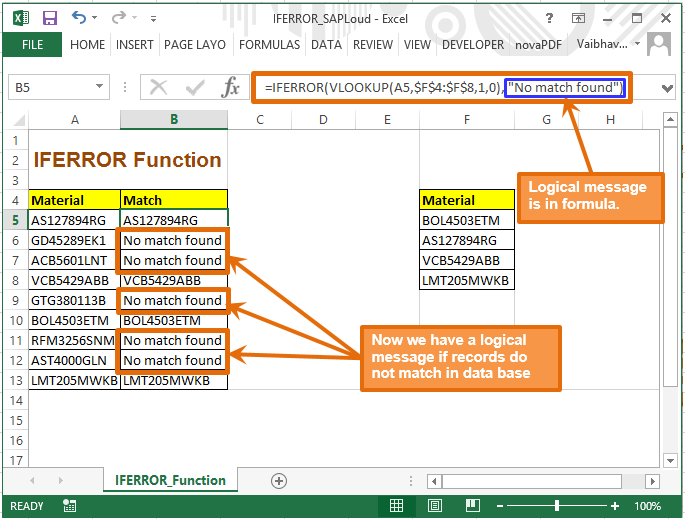 Step 3: Now apply IFERROR formula in VLOOKUP and replace error with logical text. This is how IFERROR in excel works.